Dr. Ishwar Singh was born on 6th November, 1963 at Village- Boya, District- Pali in Rajasthan. Dr. Singh obtained his Masters (1987) & Ph.D. Degree (1997) from Rajasthan College of Agriculture, Udaipur. 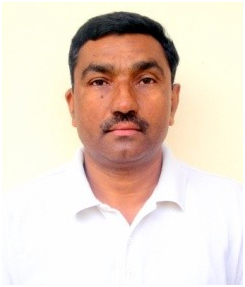 He joined the University service in May 1987 as Research Associate and has experience of more than 29 years in different capacities. He worked at ARS, Banswara, ARS, Ganganagar, ARSS Sumerpur and ARS Mandor. Dr. Singh has developed & refined more than 40 Agro-techniques and published 58 Research papers, 8 booklets and 34 popular articles, 5 book chapters on crops i.e. Mustard, Castor, wheat, Isabgol, Cumin, Fennel, Cotton, Green gram and Cluster bean. He visited France, Netherland and Belgium in 2007 and attended “International Conference on Organic Farming” at Ghent University in Ghent, Belgium. Dr. Singh is Life members of Indian Society of Agronomy, New Delhi, Indian Society of Oil seeds Research, Hyderabad and Arid Zone Research Association of India, Jodhpur. He was felicitated on 26th January 2016 by Hon. Vice Chancellor of Agriculture University Jodhpur for his meritorious services as Director Extension Education of Agriculture University, Jodhpur.